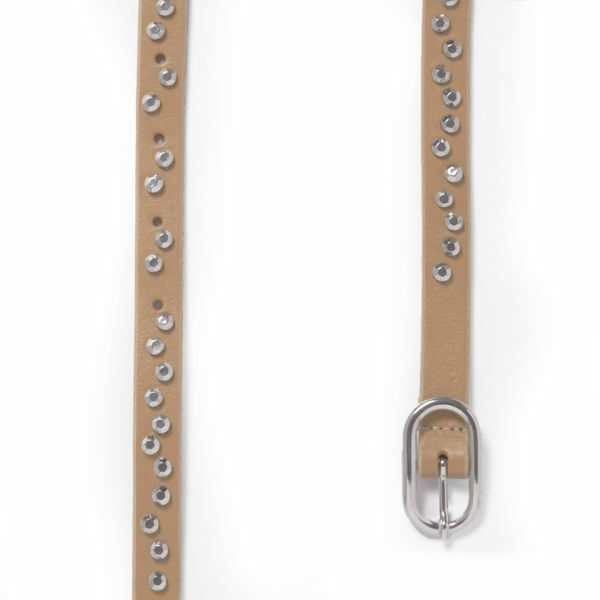 The ultimate accessory, the Lucina Studded Leather Belt by French Connection features a thin design with a real tan leather construction. Embellished with stud detail, the belt is fastened at the middle with an adjustable pin buckle. K.D.